One of my friends recently gave me a bag of fabric she no longer wanted. In it I found something I’d never seen before. 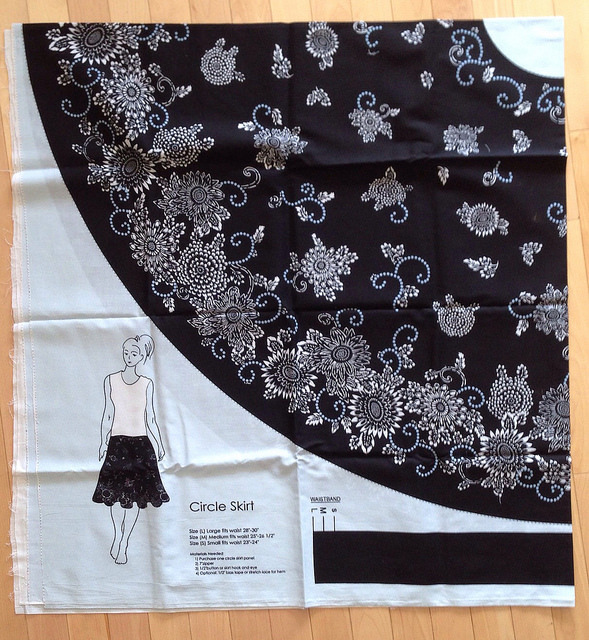 It’s a fabric panel to make a circle skirt! I thought this was a clever because you’d be able to make skirts with patterns in ways you’d never be able to out of normal fabric. It makes me wonder if it would be possible to design some panels like this and get them printed at Spoonflower.